The Westmoreland County Chamber is pleased to announce a group ​travel opportunity to Ireland, November 6-15, 2019. Questions? Contact Justina Latimer at Distinct Travel, 724-600-6533 or justina@distincttravel.com. Get a taste of old Dublin. Tonight, you and your fellow travelers revel in a traditional Irish evening, including regional cuisine. Today dinner will be included. Today, it’s your choice! Choose to ride with a local guide to see St. Patrick’s Cathedral, O’Connell Street, the General Post Office, and the historic Phoenix Park -OR- choose a walking tour of the city’s historic center, exploring St. Stephen’s Green, Grafton Street, and the River Liffey. Either way, what follows is an afternoon to discover Dublin’s charms on your own. Today breakfast will be included. Step back in time. Begin the day in the medieval splendor of 12th century Kilkenny on the River Nore. Then, in Waterford, embark on a leisurely paced walking tour of Ireland’s oldest city. It’s your choice! Tour the Waterford Crystal factory and learn how exquisite crystal has been made for centuries -OR- visit the Medieval Museum for a guided tour and glass of wine in the 15th-century Mayor’s Wine Vault. Today breakfast and dinner will be included. Live the legend. The story goes that those who kiss the Blarney Stone gain the gift of eloquence. This morning, give it a shot at historic Blarney Castle. Cross into County Kerry and continue on to charming Killarney. In Killarney’s stunning national park, board a traditional boat* and sail through the breathtaking lakes in the company of an expert boatman. This evening, it’s Diner’s Choice…tonight’s dinner is included, and you’ll choose the perfect spot from a "menu" of Killarney’s great restaurants. Today breakfast and dinner will be included. Take in the rugged coastline. Loop your way around the picturesque Ring of Kerry, past pristine beaches, quaint villages and majestic landscapes. At the Gap of Dunloe, shop for local artisan-made crafts. 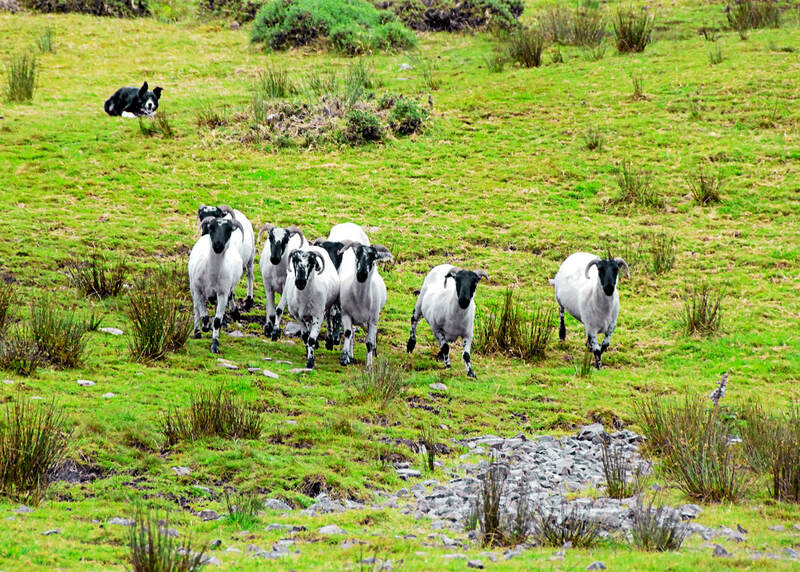 See border collies in action during a traditional sheepdog demonstration at a family-run farm. The night is free for reminiscing about the day as you find your own authentic taste of Irish culture. Today breakfast will be included. Start your day with a traditional jaunting car ride* through Killarney National Park. 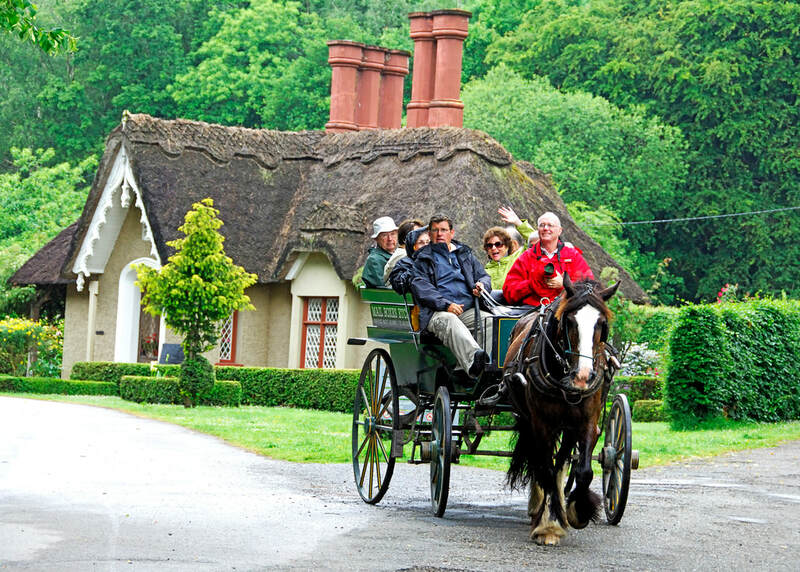 Travel to Adare, Ireland’s prettiest village, for some time at leisure. Continue to Limerick where a panoramic city tour showcases King John's Castle and the Treaty Stone. Delve into the fascinating history of the "city of the violated treaty." Today breakfast will be included. Today brings you to the dramatic, 700-foot-high Cliffs of Moher for cinematic views of the mighty Atlantic. Pass through the windswept, limestone landscape of the Burren, known for its stark beauty and Neolithic tombs. Continue on to Galway where a brief tour showcases “The City of Tribes” before relaxing over dinner in a local restaurant. Today breakfast and dinner will be included. You don’t have to be a connoisseur to appreciate the old-world heritage of Ireland’s whiskey territory. Your journey brings you to Tullamore and Kilbeggan in the heart of Ireland, where a superb distillery brings whiskey craftsmanship to life and gives you a taste of the final product. 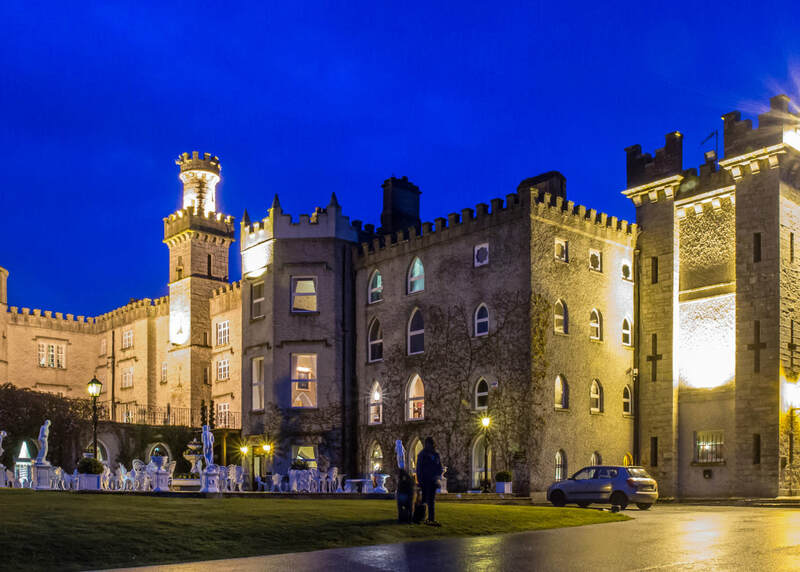 Top your day off with an overnight stay on the regal grounds of Cabra Castle where you toast the end of a fabulous trip during your farewell dinner. Today breakfast and dinner will be included. Your journey ends in Kingscourt. Today breakfast will be included.